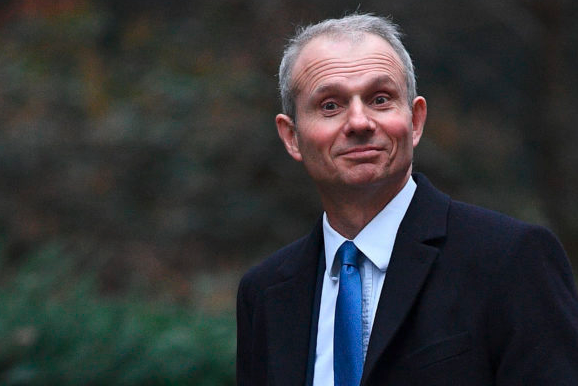 David Lidington (Minister of State, Cabinet Office) insulted contaminated blood victims this week (November 14th 2018) by using the word “compensation” in an answer to a question from Jeff Smith (Opposition Whip) when the reality is haemophiliacs have NEVER been compensated. Last month, the chair of the inquiry, Sir Brian Langstaff, said that many victims of the infected blood scandal are still living on the breadline today. The inquiry is not due to look at financial support until 2020, so what more now can the Government do to help the people affected? As the hon. Gentleman knows, different compensation packages have been agreed by the Department of Health and Social Care in the different parts of the United Kingdom. Sir Brian did ask the Government to look at the case for some additional measures, which are being considered by the Secretary of State for Health and his ministerial team, and the Minister responsible for mental health, my hon. Friend Jackie Doyle-Price, is very willing to talk to the inquiry team about that. Lidington repeated the word “compensation” again in a reply to Diana Johnson MP (Labour). This statement by Lidington is incorrect and distressing to haemophiliacs and their families who have been waiting over 3 decades for the government to compensate victims. To date government has paid out only miserly “ex-gratia” payments and victims must go cap in hand to the English Infected Blood Support Scheme (EIBSS) or their counterparts in Northern Ireland, Scotland and Wales to apply for monthly allowances and grants. The amount varies considerably depending where a person is located with Scottish payments much higher than in other parts of the UK. Payments received by infected persons in England are linked to the Consumer Price Index (CPI), however this is not the case for affected bereaved partners who become worse off year by year and are means tested with state benefits taken into account. Since the financial changes to the Scottish scheme, I am informed by Haemophilia Scotland that the payments of infected there are no longer linked to CPI. This seems to have been dropped with the movement away from Trusts that previously administered payments and the transfer over to the current system. Lidington is once again adding insult to injury. The British government has always denied haemophiliacs compensation unlike Eire. The Eire government, lawyers for haemophiliacs and the Irish Haemophilia Society wrote 3 letters to Colette Wintle and I in 2004 confirming that Eire had taken a very different approach and compensated years ago. We obtained these letters to quash the false narrative of Lord Warner who wrongly and repeatedly said Eire had paid out due to accepting legal liability. This was challenged in a Judicial Review in 2010 which was won against the then Secretary of State for Health Alan Johnson by haemophiliac Andrew March and his lawyers using our documents. The Labour government had refused to follow the recommendation of Lord Archer of Sandwell who wrote in his 2009 report that haemophiliacs should be compensated “on a parity with Eire”. I first initiated this arguement in 1996 and Lord Archer echoed my recommendation after studying the evidence. Justice Holman ruled that the government’s thinking was infected with error and they were told to relook at their decision not to compensate. Labour then moved the goalposts and decided not to compensate because Eire was a different country so they didn’t have to follow their example! Eire paid out compensation for “extraordinary suffering” on the grounds of “loss and need” at the same levels as if the case had gone to court but WITHOUT putting victims through the stress of actually going to court and WITHOUT admitting legal liability. Some persons in the UK receiving infected whole blood transfusions were able to take cases under the Consumer Protection Act (if they were infected since 1988) looking at Product Liability and did receive compensation but that did not include haemophiliacs who have always had an entirely separate legal case and arguement. To date despite recent calls for haemophiliacs to be compensated including my own letter of October 11th 2018 to Matt Hancock (Secretary of State for Health), there is no sign to think that this current Tory government has changed its chance regarding compensation for UK haemophiliacs. The reply I received from the DOH on the 25th October once again showed confusion over the Irish compensation scheme. The person who replied (not Hancock) sent me what appeared to be a cut n paste job from old government answers which was done so badly it seemed to stop in mid-sentence! Many haemophiliacs have already died due to their infections since the start of the Infected Blood Inquiry. Those who remain and their loved ones live a hand to mouth existance, with government’s lack of empathy, muddled thinking and tight-fisted approach to their suffering, those infected and affected could well be be waiting yet another thirty years for compensation! We have NEVER been given compensation, only Ex-Gracia payments, that is NOT comoensation Mister IDIOT, please correct yourself.! Thanks for your comment, Peter. Indeed government are either incredibly ignorant or incredibly cruel or arguably both! One could be forgiven for thinking Lidington’s comments were made on purpose so that once again this Tory government can avoid paying haemophiliacs compensation using yet another false narrative, just as Labour did in 2009 ignoring Lord Archer’s important recommendation to “compensate on a parity with Eire”. May I suggest you also check out this Russia Today video interview with Ray Woolford who wrote a book called “The Foodbank Britain”. He discusses government austerity and the link to poverty. Ray highlights Contaminated Blood victims including our QC Sam Stein’s comments at the opening of the Infected Blood Inquiry. Government have ALREADY harmed haemophiliacs often through the importation of dirty prison blood from US. Now they and their families are subjected to what I term “double punishment” going through ridiculous and unfair DWP reassessments to stay on basic state benefits and meagre monthly allowances which are only given using means testing in the case of the bereaved that are not even linked to Consumer Price Index. Its a hand to mouth existence for many … and another bloody scandal! What is needed urgently is proper COMPENSATION!